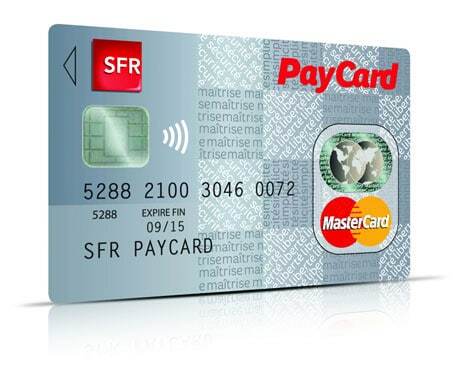 Mobile network operator SFR has launched France’s first rechargeable MasterCard PayPass card, in a first step towards issuing its own NFC mobile payment service. The new SFR PayCard will be available from October to anyone in France, whether they are an SFR customer or not, and will be available direct from sfrpaycard.fr as well as from most tobacconists. The card carries a fee of €14.90 (US$19), is valid for one year and comes with both Android and iOS apps and SMS alerts that allow cardholders to track their account from their mobile phone. The card “can be recharged by cash, credit card or by bank transfer for free,” says SFR, and can also be used to transfer funds between two accounts. The launch is the first step in SFR’s mobile payment strategy, the carrier says, adding that it has decided to issue only SIM cards with native NFC capabilities from the beginning of 2013.